I am Stamford born and bred. I went to school here (with brief interim in North Yorkshire and Scotland) and I would happily spend my end of days here. I currently live in Leeds and visited for a month and after many questions via instagram I thought it would be easier to put a little guide together if you fancy visiting the finest stone town in Europe. You could just arrive, wander round, find some food and be blown away by the beauty quite easily but I don't want you to miss out on anything so let's start where I would. Shall we say you're arriving brunch/lunch time? I told you we were going to take this seriously. Tobie Noris is point A. The whole route is 1.8km according to the site I used. 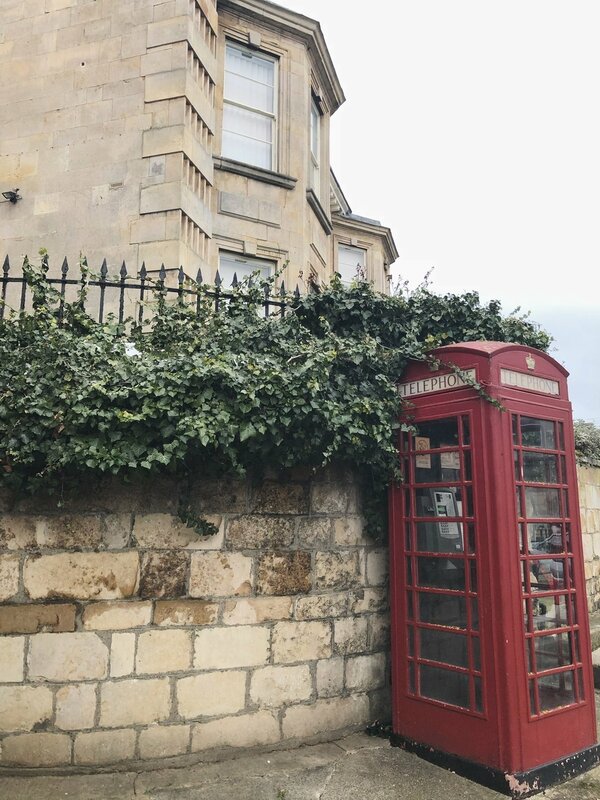 The Tobie Norris has been one of my favourite places in Stamford, tucked away at the East side of town this is the best place for you to start. Enjoy the decor, stay for the pizza. It is delicious! You could also end your walk around Stamford in which case I would suggest starting off finding Miss Pickering and oggling at the gorgeous store front, Valentine sat in the window and if you're in the mood then treat yourself to a gorgeous bouquet or plant to take home. Following St Paul's St down towards the high street you'll take a left at M&S and head down St George St to St George Square, there is a beautiful church, an old antiques shop and the houses are stunning. Walking along past The Arts Centre aka the only cinema in town, you'll see St Mary's church in front of you, to the right there is a lovely gin shop and a cute interiors shop to the left there is a beautiful cobbled street taking you past some of my favourite houses in town. You've now got a little trek up St Mary's, over the town bridge and up St Martins. There is an incredible antique centre half way up the hill on the left which is worth a visit. Also, if you are feeling thirsty then stopping at The George should be a priority! Walking back down the hill and finding your way through the meadows should be easy. Bath Row is beautiful and contains some of the original Norman castle wall. If you walk to the end of Bath Row you'll walk up a curved cobbled street and essentially time travel. There are a few streets around here to wander and if you fancy it you can walk up Rutland Terrace and enjoy some stunning townhouses. You want to head right down St Peters St and back towards town, if you fancy it you can loop up towards Scotgate and come down Barn Hill but if not just head straight over the road at All Saints Church then take a left up Barn Hill, there is a beautiful big house half way up and I personally think its the prettiest street in town. At this point if you are hungry/thirsty/needing a sit down then The Crown or Paten & Co are at the bottom of Barn Hill opposite the church. If not, head up Broad Street, which runs parallel to the High Street. Feel free to join the High Street at any point. Browns Hospital is pretty for a walk around through the cloisters (if its open). There are the usual shops on the high street, theres a cute Sophie Allport store, a Space NK, White Company, Walkers Bookstore and a few deli's. There are lots of independents dotted around too. If you are looking for vegan/veggie/GF then there is a cafe at the end of the high street called The Lean Pantry. I went a few times when I stayed and service was hit and miss but the food was good when they got the order right. An additional extra would be a walk or drive up to Burghley House. It is walkable from town (just carry on past the antique centre mentioned) about 20 mins or so, but the drive up would give you extra energy to explore the incredible gardens and huge house. I hope you have a lovely trip and this guide helpful. Please let me know if you decide to visit!